Nothing says “I’m having a super fun time at a New Year’s party” than taking a break to blog. But, seriously, I was the odd man out for Catchphrase, and I needed to get some more recipes in. Looks like I’ll have to finish up the rest of the recipes tomorrow, but this has been a solid effort…enough to make me not feel guilty. Oh, look. 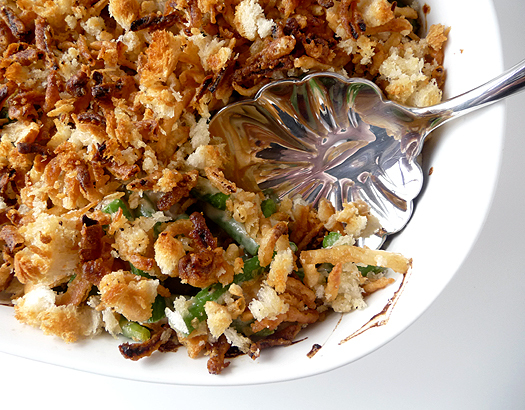 A green bean casserole that’s fresh. I haven’t actually read the recipe yet, so right now it’s a surprise to everyone! Just like I haven’t checked my lottery tickets for the Mega Millions, but completely assume that I am a winner. This looks like a winning recipe. Hailing from the blog, Brown Eyed Baker, this little beaut will be sure to please the crowd at your next family Thanksgiving. 1. For the Topping: Pulse bread, butter, salt and pepper in food processor until mixture resembles coarse crumbs, about ten 1-second pulses. Transfer to a large bowl and toss with onions; set aside. 2. For the Beans and Sauce: Adjust oven rack to middle position and heat oven to 425 degrees F. Fill a large bowl with ice water. Bring 4 quarts of water to a boil in a large pot or Dutch oven. Add 2 tablespoons salt and beans. Cook beans until bright green and crisp-tender, about 6 minutes. Drain beans in colander and plunge immediately into ice water to stop cooking. Spread beans on paper towel-lined baking sheet to drain. 3. Add butter to now-empty pot and melt over medium-high heat until foaming subsides. Add mushrooms, garlic, ¾ teaspoon salt, and 1/8 teaspoon pepper; cook until mushrooms release moisture and liquid evaporates, about 6 minutes. Add flour and cook for 1 minute, stirring constantly. Stir in broth and bring to simmer, stirring constantly. Add cream, reduce heat to medium, and simmer until sauce is thickened and reduced to 3½ cups, about 12 minutes. Season with salt and pepper to taste. 4. Add green beans to sauce and stir until evenly coated. Arrange in an even layer in 3-quart (or 9×13-inch) baking dish. Sprinkle with topping and bake until top is golden brown and sauce is bubbling around edges, about 15 minutes. Serve immediately. *Note 1: You can prep this ahead of time. Store the bread-crumb topping in an airtight container in the refrigerator and combine with the onions just before cooking. Combine the beans and cooled sauce in a baking dish, cover with plastic wrap, and refrigerate for up to 24 hours. To serve, remove the plastic wrap and heat the casserole in a 425-degree oven for 10 minutes, then add the topping and bake as directed. 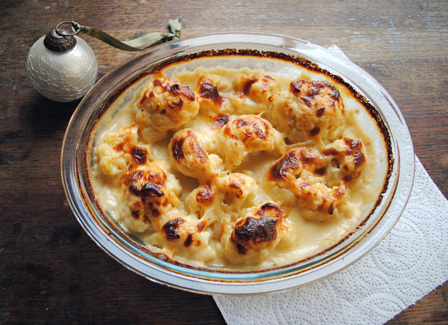 *Note 2: This recipe can be halved and baked in a 2-quart (or 8-inch square) baking dish. If making a half batch, reduce the cooking time of the sauce in Step 3 to about 6 minutes (1¾ cups) and the baking time in Step 4 to 10 minutes. *Note 3: If you want to go 100% homemade and eliminate the canned fried onions, you can make your own caramelized onions. Thinly slice 2 sweet onions and saute in 2 tablespoons of unsalted butter over medium-high heat for about 10 minutes. Reduce heat to medium-low and sprinkle with salt and cook, stirring occasionally, for about 30 minutes, or until the onions are golden, caramelized and soft. Set aside to cool before combining with remainder of crumb topping. Proceed with the recipe as directed. Actually not from Rick Bayless, although I’m sure he would approve. This one comes from “Leftovers for Lunch,” a situation I rarely identify with. It’s more like “Lean Cuisine for Lunch” for me, speaking of which, look forward to more Chew and Reviews in 2011! 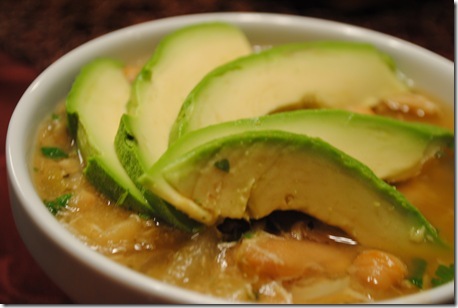 Throw all the ingredients, except cilantro and avocado, in the crockpot, simmer on low for 7-9 hours. Shred chicken, add the cilantro and stir well. Yet another NOT from Rick Bayless. This one looks like some sort of eggy, breakfasty thing that Wylie Dufresne and Rick Bayless would both approve of. 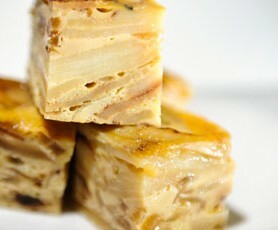 From See…Read…Cook, this can be made for breakfast or whenever your heart desires. Note: If you have a mandolin, it will come in handy for the slicing process. Peel and thinly slice the potatoes, then soak in cold water. Peel and thinly slice the onions and set aside. After the potatoes soak 10 or 15 minutes, dry thoroughly. If you have a salad spinner, this would be a perfect time to use it. In a large pan, heat enough olive oil to cover the potatoes. Once up to temperature, (check by placing 1 slice of potato in the oil. If it sizzles, it’s ready) cook the potatoes until tender. Your goal is not to fry them to the potato chip stage. They should have next to no color to them. If your skillet is large enough, add the onions about halfway through the cooking of the potatoes. If your skillet is not large enough to accommodate both; after you remove the potatoes, drain on paper towels and add the onions to the pan. The onions should be translucent, not fried. Remove the onions to the same paper towel as the potatoes and let drain. In a large bowl, mix the eggs together just until incorporated. Once the potatoes and onions are well drained, add to the eggs. Season with salt and pepper. Now, this is probably best done in a large non-stick skillet, but if you don’t have a non-stick then make sure you use enough of the reserved oil in your skillet to make sure the tortilla doesn’t stick. (even with non stick, you should have a bit of oil in the pan) And make sure your skillet is hot. The egg sets faster and that helps with the no stick issue. Pour the mixture into the hot pan and stir with a spatula to create some texture. After about a minute or so on high heat, lower the heat to medium-high and cook until the eggs are mostly set. Take a large plate or platter and place over the tortilla. Take the pan and carefully but quickly flip it over so the tortilla is now sitting on the platter. Slide the tortilla back into the skillet so the other side can cook and brown. Cover and cook for an additional 3-5 minutes. Once done, carefully slide out onto a large cutting board and let cool for about 15 minutes. Cut into wedges and serve with Spanish sausage, Crema, Sofrito, or Roasted peppers. And that’s a wrap for 2010. See you all tomorrow for the last of the recipe roundup! 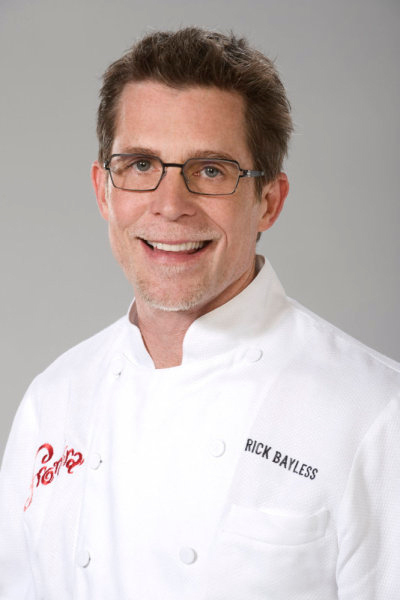 I’ve been mildly obsessed with Rick Bayless since I was introduced to Mexico: One Plate at a Time a few years ago by a friend that didn’t have cable and was forced to watch actual quality television programming on PBS. 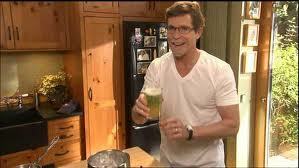 At first glance, Rick Bayless appears to be the whitest white guy to ever whip up a batch of tacos and tamales. 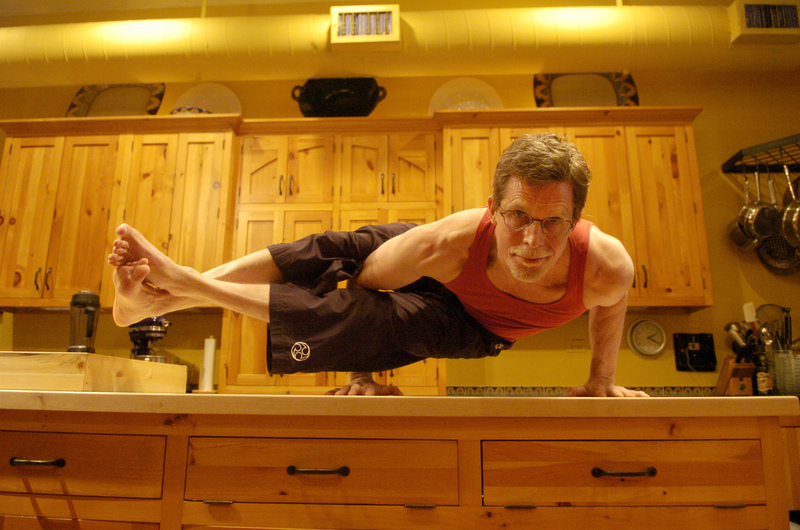 He looks nothing like the fabulous Tamale Guy that wanders the bars of Bucktown, peddling his delicious bathtub-made fare, but trust me, Rick Bayless knows how to cook up some mean Mexican food. A longtime fan of Top Chef, I got to know more about Bayless on the first season of Top Chef Masters, which he ultimately won. 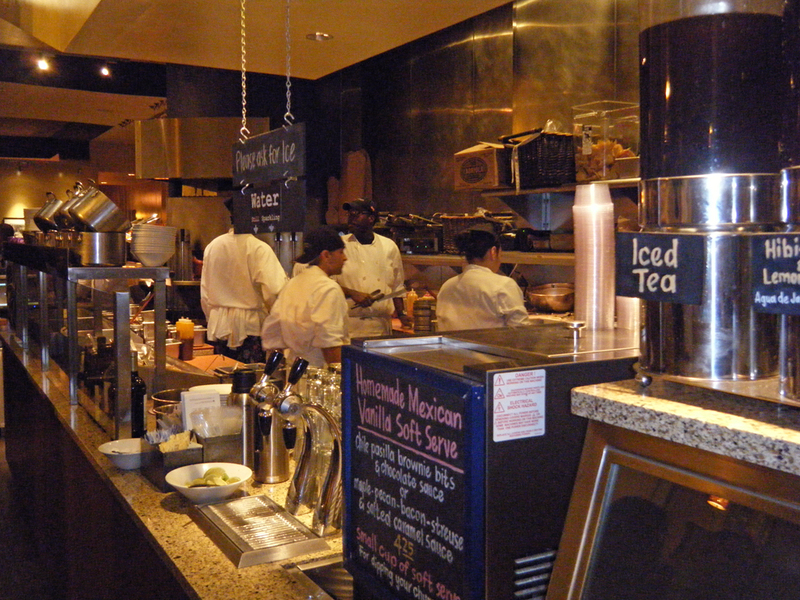 Shortly after his victory on Top Chef Masters in 2009, I dragged a group of friends to Xoco, Bayless’s newest Chicago restaurant. This “little sister” restaurant, serving authentic Mexican-inspired street food, has two big sisters – Frontera Grill and Topolobampo, but both are a bit difficult to get into. Since Xoco serves street food (tortas and soups), it’s relatively quick, and the only thing you have to wait for is a space to open up at one of the few tables. 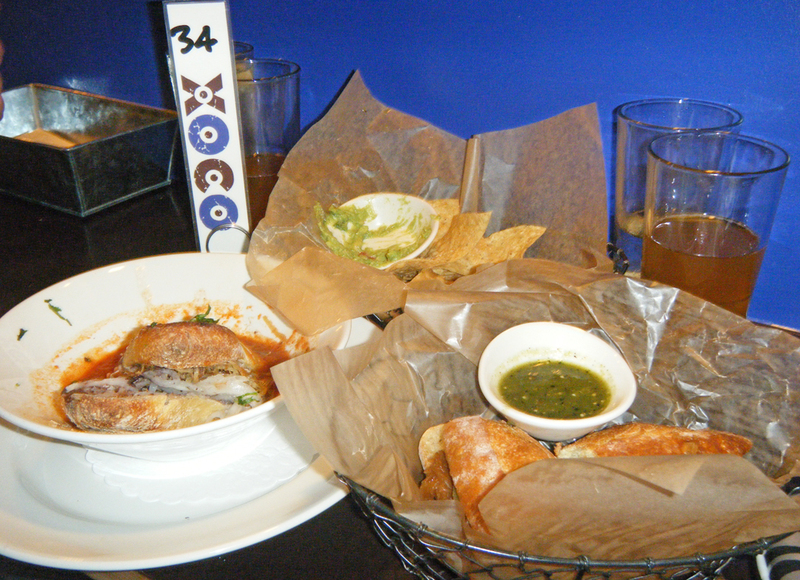 My friends and I had an awesome meal of hand-made tortas, chips and guacamole and churros, and I couldn’t wait to eat there again. When my brother came into town on business last week and ended up conveniently staying 2 blocks from the realm of Rick Bayless restaurants, I knew the opportunity had arrived. I happened to be attending a conference downtown on the same day that my brother got in for work. I’m usually in the ‘burbs for work, so the fact that we were both downtown was a happy coincidence. We met up at his hotel, slammed a few free drinks (Homewood Suites passes out free beer, wine and a full-scale dinner from 5-7 everyday) and made our way over to Xoco. Now, at this point, I had regaled my brother with enough Rick Bayless knowledge to write a verified Wikipedia page on the man. He seemed slightly indifferent to my Rick Bayless love-fest, claiming “he’d never heard anyone talk about a chef so much in my life.” Touché. We walked over to Xoco, at the corner of Clark and Illinois, me practically skipping and happily spewing Rick Bayless trivia, and my brother nodding and occasionally throwing in an “oh”, “yeah” or “mmhmm” to the mainly one-sided conversation. There didn’t seem to be too long of a line when we got there, but the line can at Xoco can be deceiving, since, if you’re dining in, you must wait for a table to be cleared before you can order. There are only 40 seats available, so this can easily be a 30-45 minute wait just to order. If you’re not hell-bent on soaking in the entire Rick Bayless experience and just want to chow down, it seems like take-out is the way to go. Now comes the most exciting part of the meal, and naturally it had something to do with dessert. Since the churros are also hand-made, they don’t deliver them until you’re ready for dessert. I sent my brother up to the front to inquire after our churros, and when he came back, he had a big grin on his face and said these 7 glorious words: “I think Rick Bayless is up there.” I knew my endless lecturing and pointing out Rick Bayless’s picture on his cookbooks would pay off! My brother actually recognized him! I audibly squealed, dug my camera out of my bag, fluffed my hair and scurried up to the counter for my chance to make a complete fool of myself meet my favorite celebrity chef. Yeah, sorry for that, but I don’t want to be subjected to all of you Rick Bayless haters out there. I mean, we’re pretty much like Kim Kardashian and Justin Bieber. Better to remain completely anonymous. 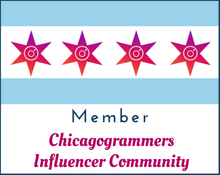 I’ve got a LOT of regular readers (6) from all over the world (Chicago), and this blog is already making me uncomfortably famous. 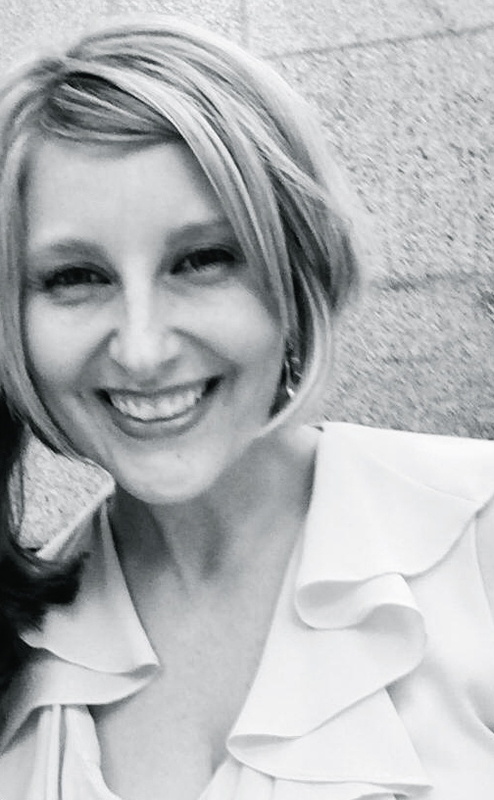 For those of you landing here from my links on Facebook, um, ignore the fact that you know me. 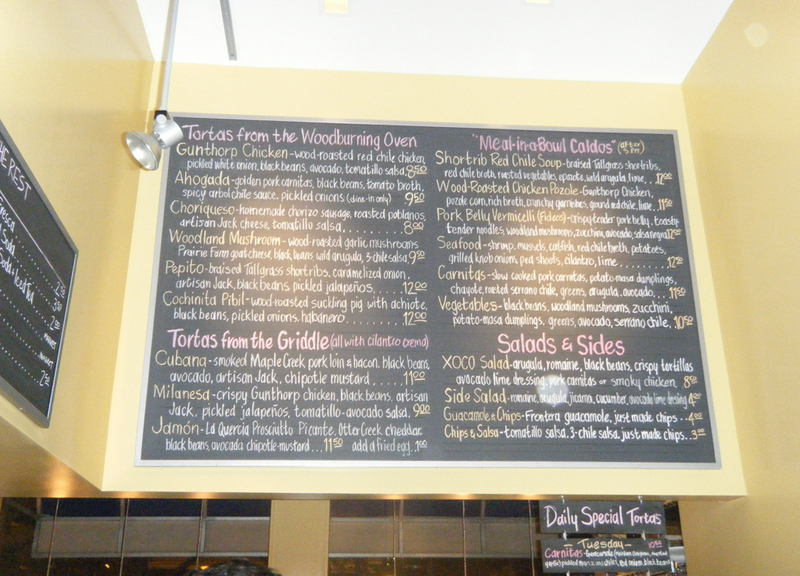 Anyway, Rick Bayless was gracious and seemed flattered that I would write up my dining experience on this blog. I can only assume he is my 6th loyal reader…I mean, before I met him, I only had 5.